Jack Sly - Master jewel thief legendary for capturing the Triade de Diamantes - the nature-defying triplet diamonds. Since that time, Inspector Gregory Lestrade III has been chasing Jack relentlessly, determined to bring down the thief and live up to his grandfather's legacy. 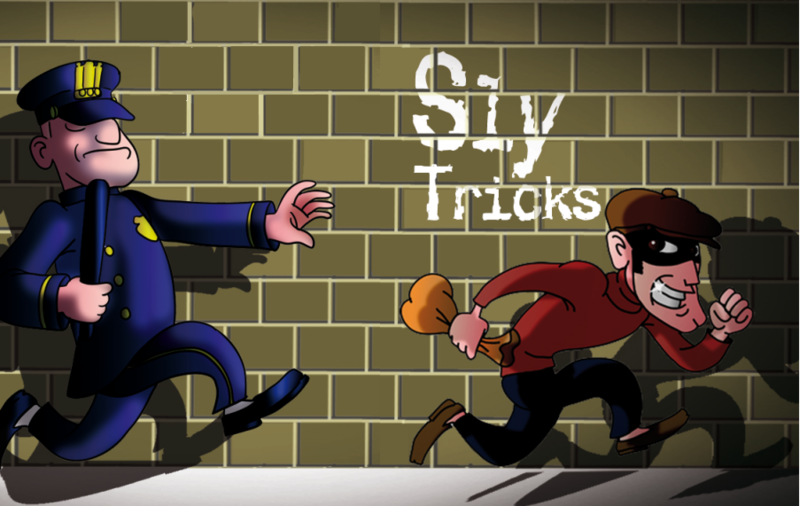 In this game, you will play either Sly or Lestrade. Players each start with a unique deck of trick-taking cards. Whether you play the high card or the low card you'll receive a benefit. With a high card, you gain a movement. With a low card, you gain specialty cards, designed to make your deck more powerful. This game plays out like a trick-taking game; to win, you must play the highest card. But it has a variety of elements from popular deck building games. Your cards cycle in your hand as you add cards to it, rather than shed them. This game plays in about 20 minutes, and is designed for 2 players aged 8+.